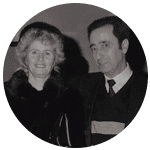 AGS movers was created in 1974 by Isaac and Sarah Taïeb. From this moment on the AGS family started to expand internationally and adapt its offer to the world’s changes. Today AGS Worldwide Movers is present in 141 locations in 95 countries. Our hub in South Africa has been completed and is operational. 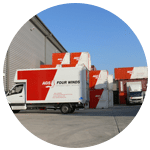 It is the largest international removals hub in the southern hemisphere. 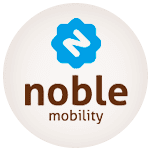 Acquisition of Noble Mobility in the Netherlands. 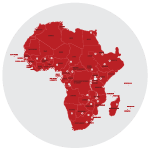 The AGS group is now in the 54 African countries with Africa 54. 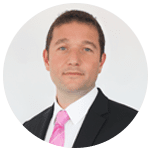 Cédric Castro is the Chief Executive Officer. 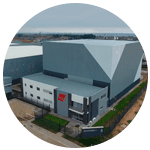 As part of the removal activity, the AGS group launches Self Storage with Déménagerseul and Stockerseul. The first branch of the Asian network is launched with AGS Movers China. Becoming an expert for moving people around the globe, the AGS group decides to start a relocation division with Executive Relocations. 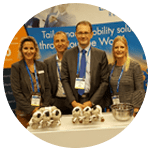 Integration of South Africa’s leader in removals with The Laser Transport Group, meanwhile the AGS group in France expands its network with Démépool and Les déménageurs bretons. 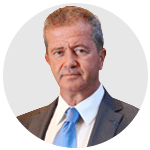 AGS family grows; Alain Taïeb, Isaac and Sarah Taïeb’s son, becomes CEO and Chairman of the group, which becomes Mobilitas S.A. This is the beginning of the African adventure, with AGS Movers Ivory Coast. AGS launches the European network with AGS Movers London. First foot outside mainland France with AGS Movers Guadeloupe in the French Overseas Territories network. Isaac and Sarah Taïeb launch AGS, a removal company. This is the beginning of the great adventure!